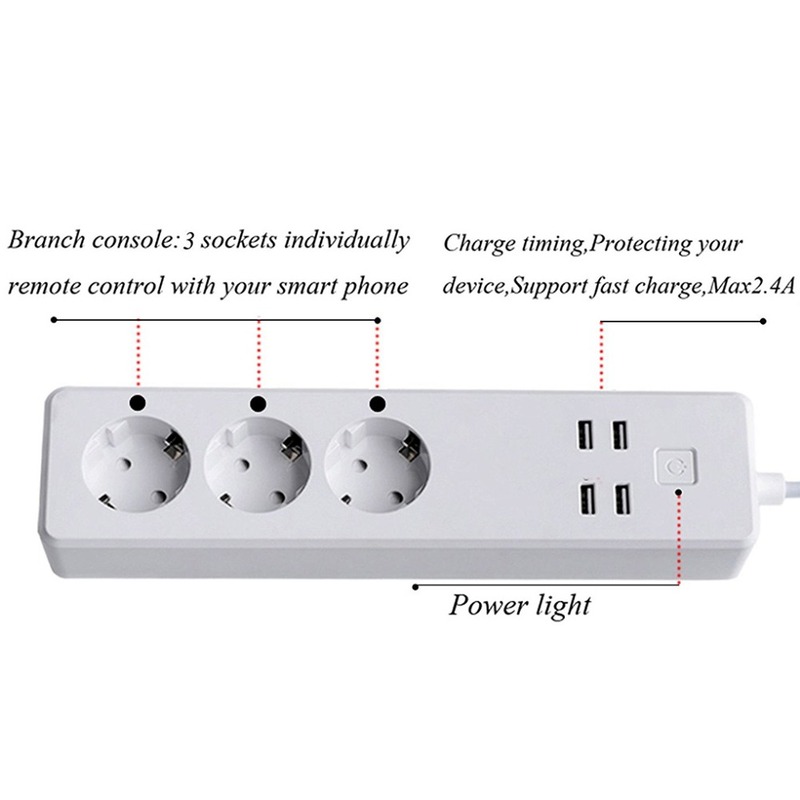 Multi Protection: fireproof material and overload protection ensure long durability and safety while using small size . 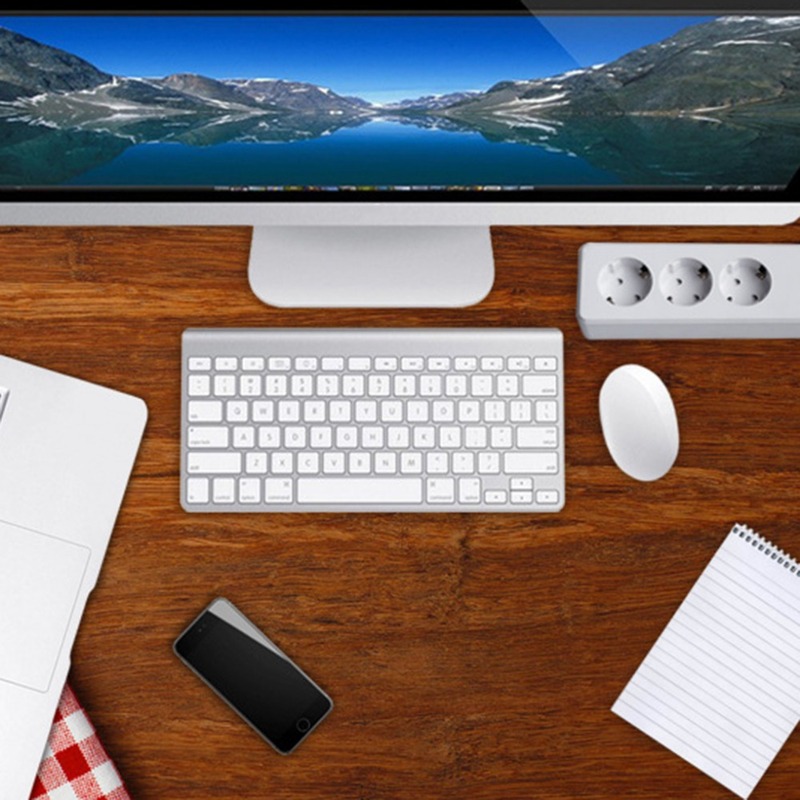 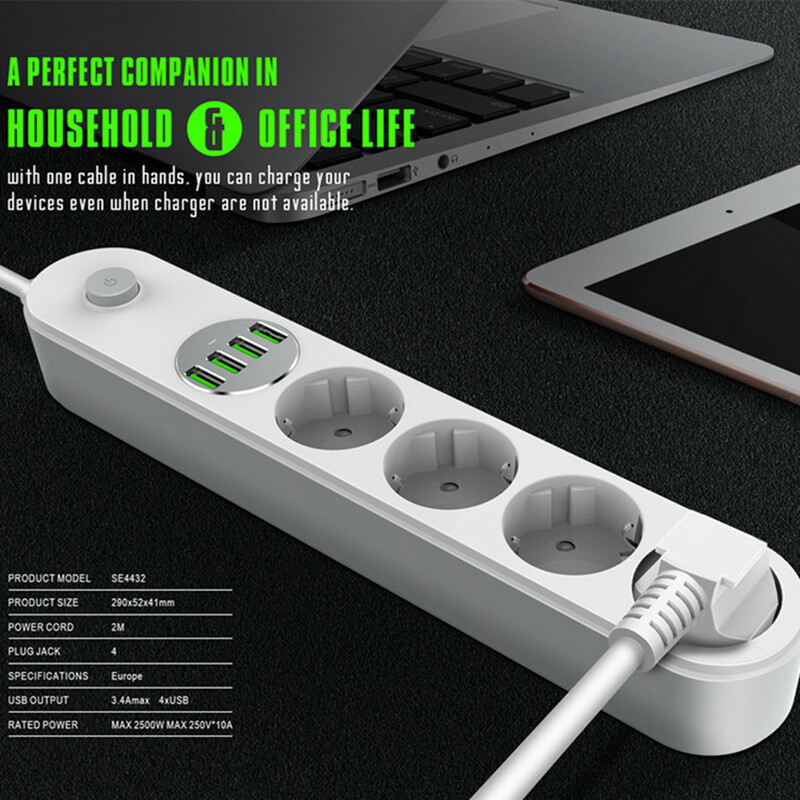 Equipped with 3 outlets and 4 USB charging port for travel, home or office, provide a convenient power supply for notebooks. 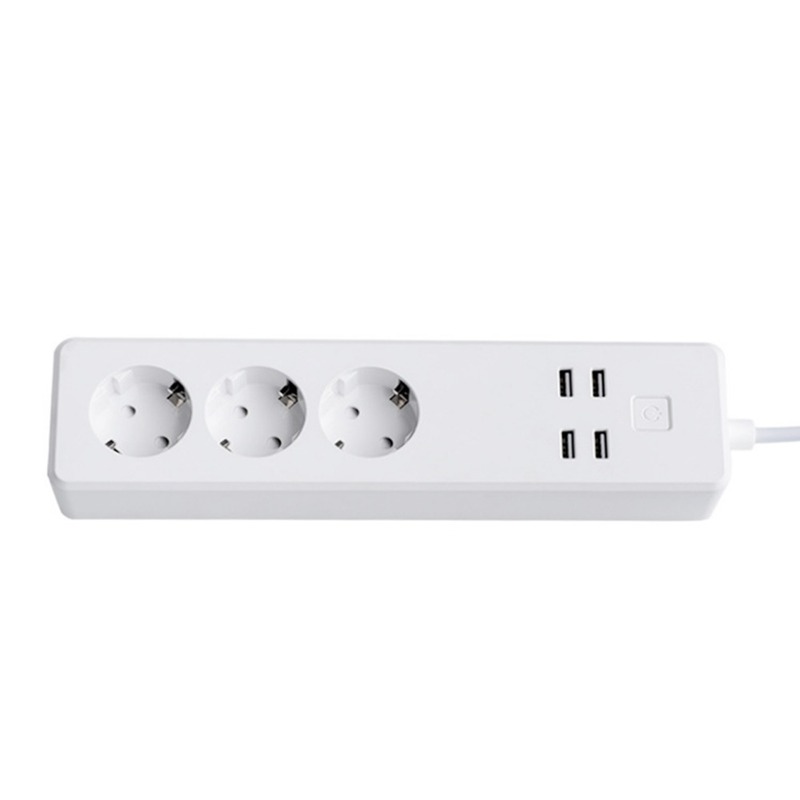 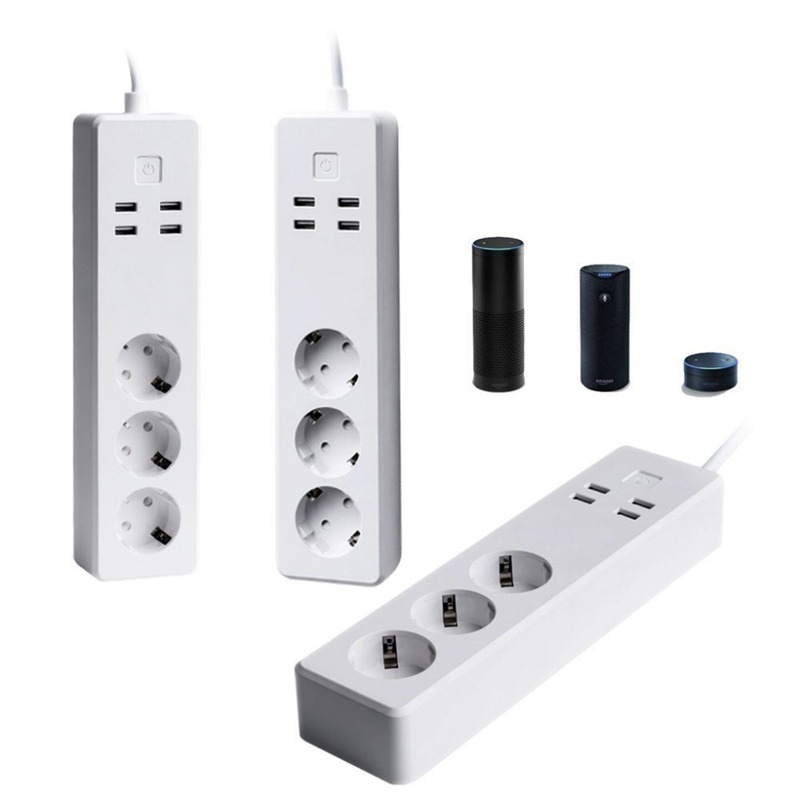 Power strip surge protector wall mount Support four simultaneous digital equipment supply. 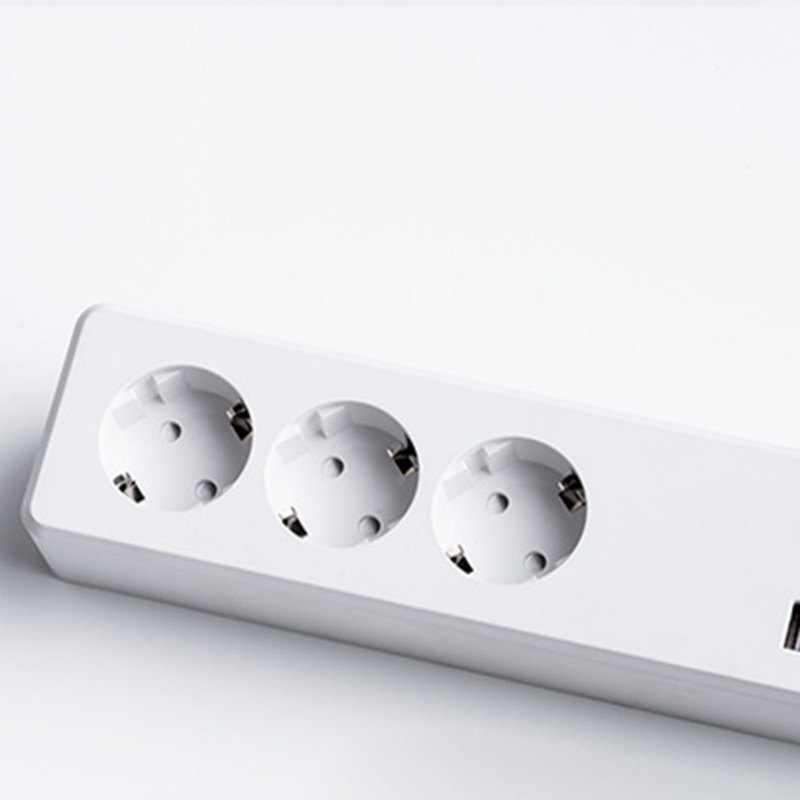 Versatile protection on all outlets. 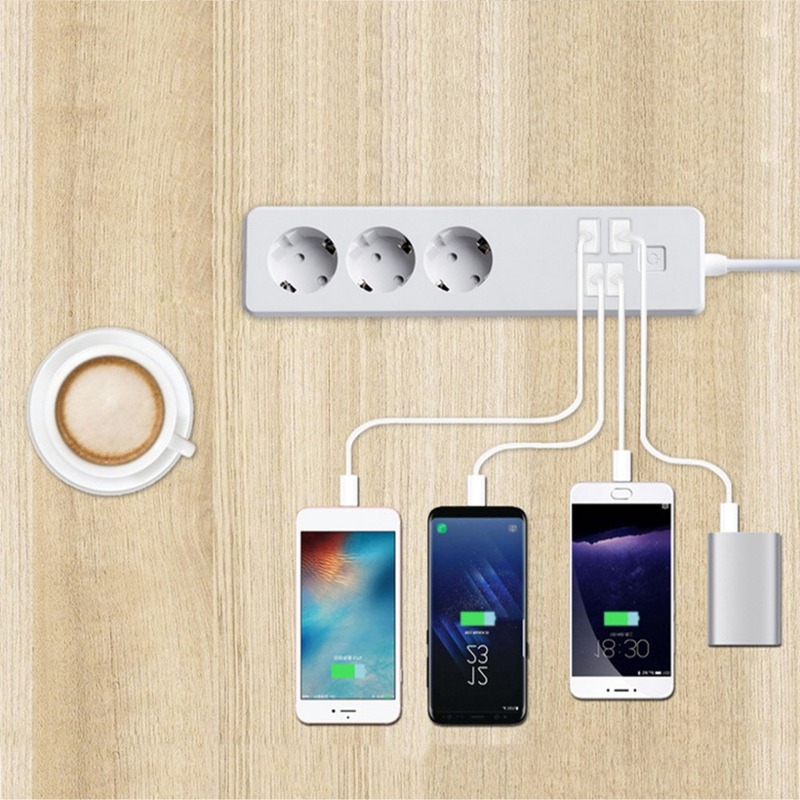 Neatly arranged plug and ports. 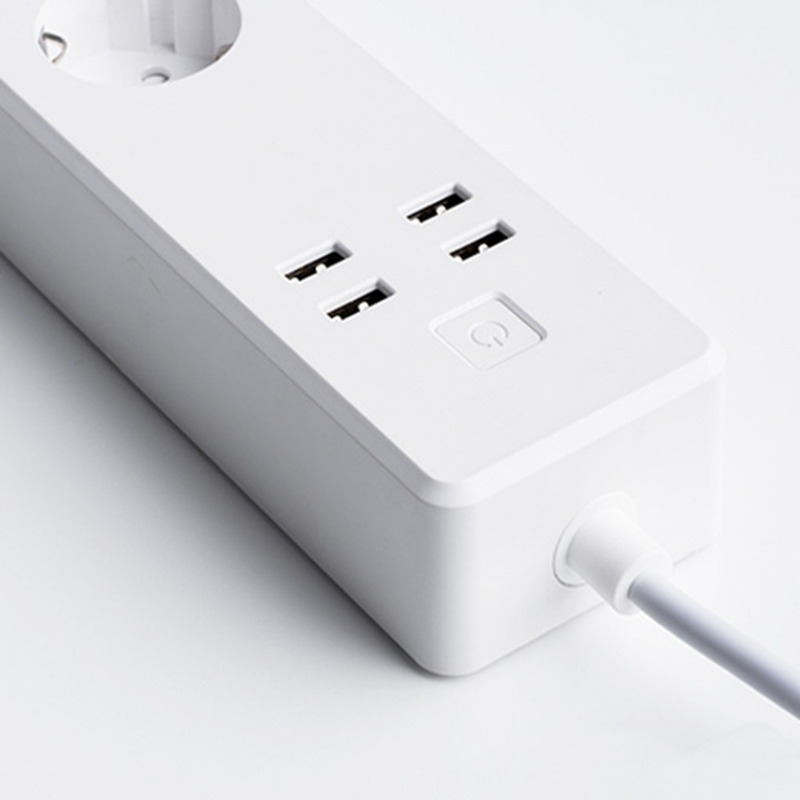 Rated Power: 1650W 4x10A/ USB Total Power: 12W / 5V 1AX4. 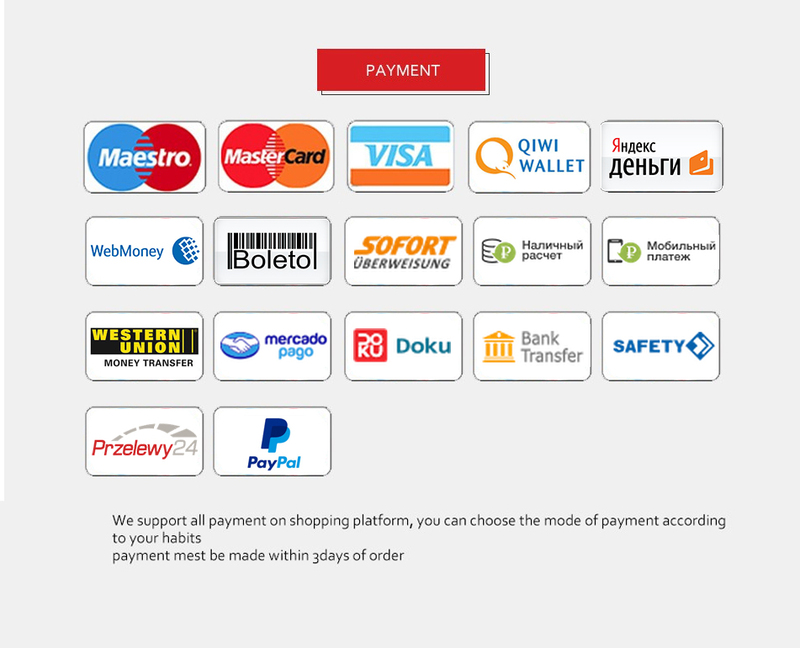 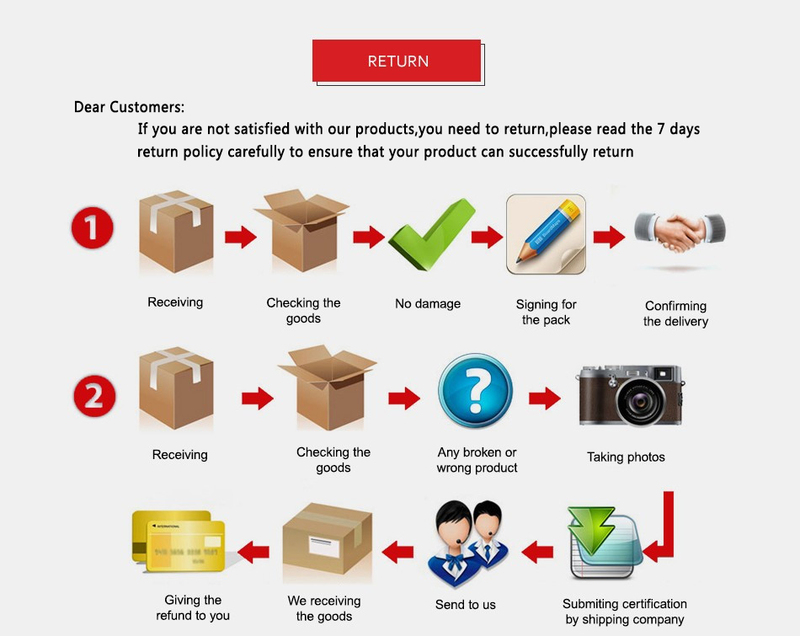 12 months Warranty and lifetime technical support. 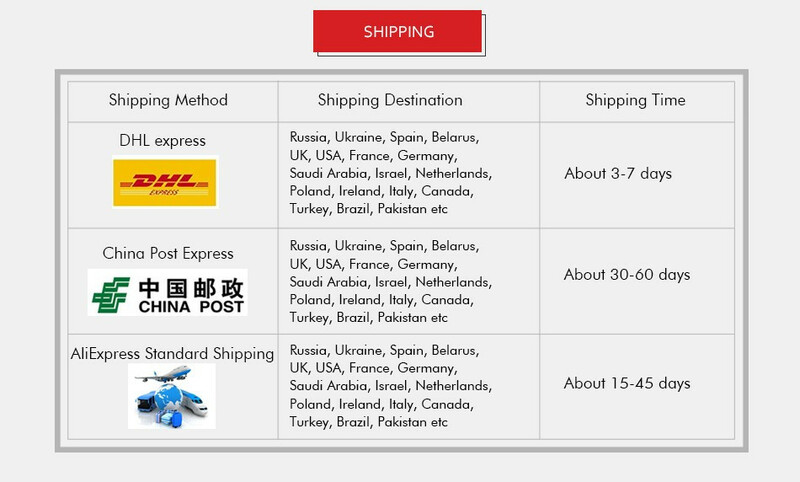 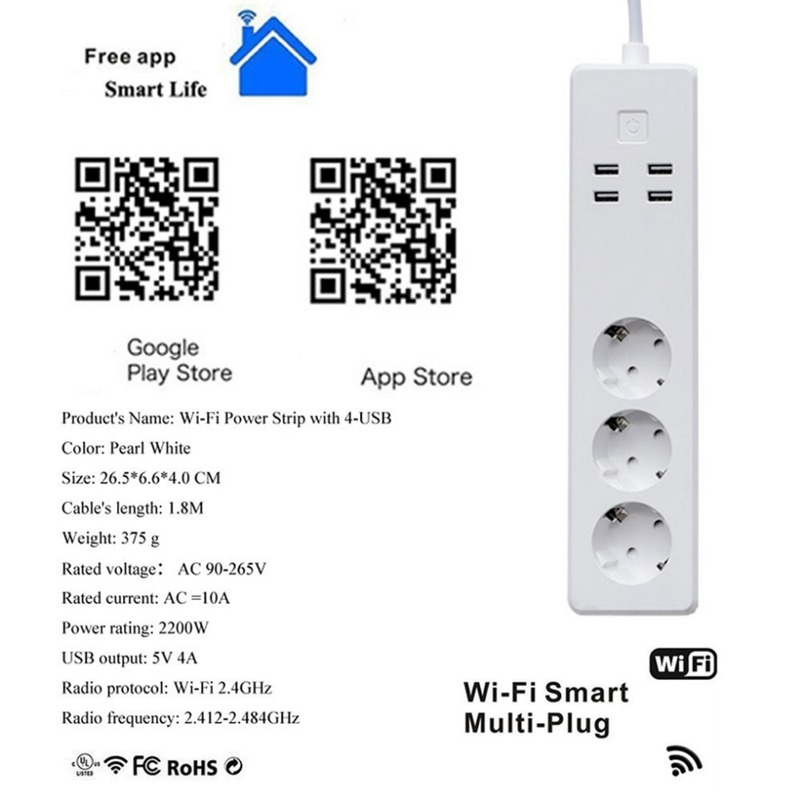 Weight: 0.53kg /pc with color box. 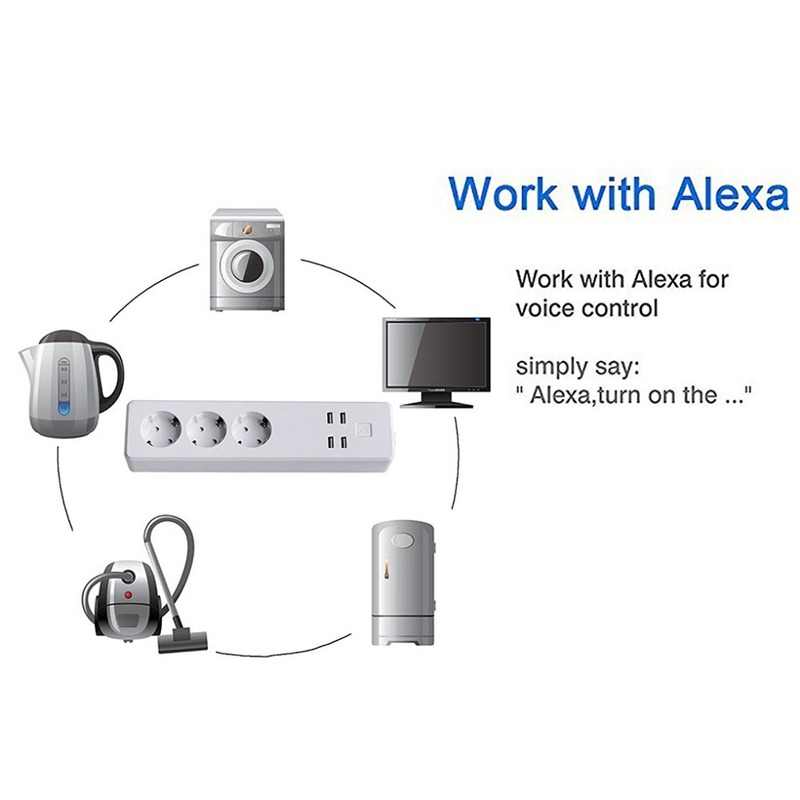 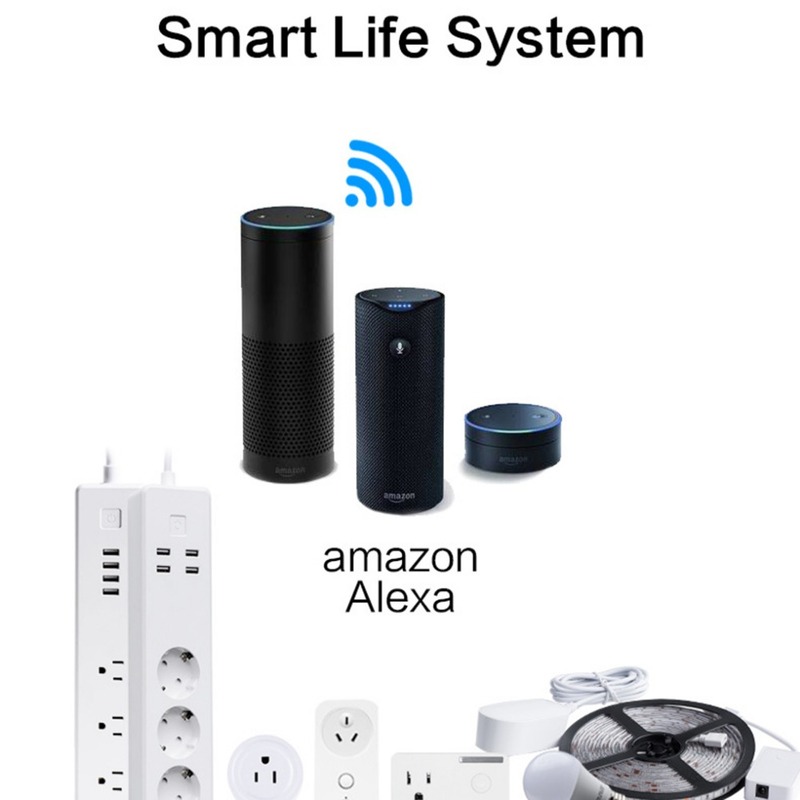 Working with for amazon alexa. 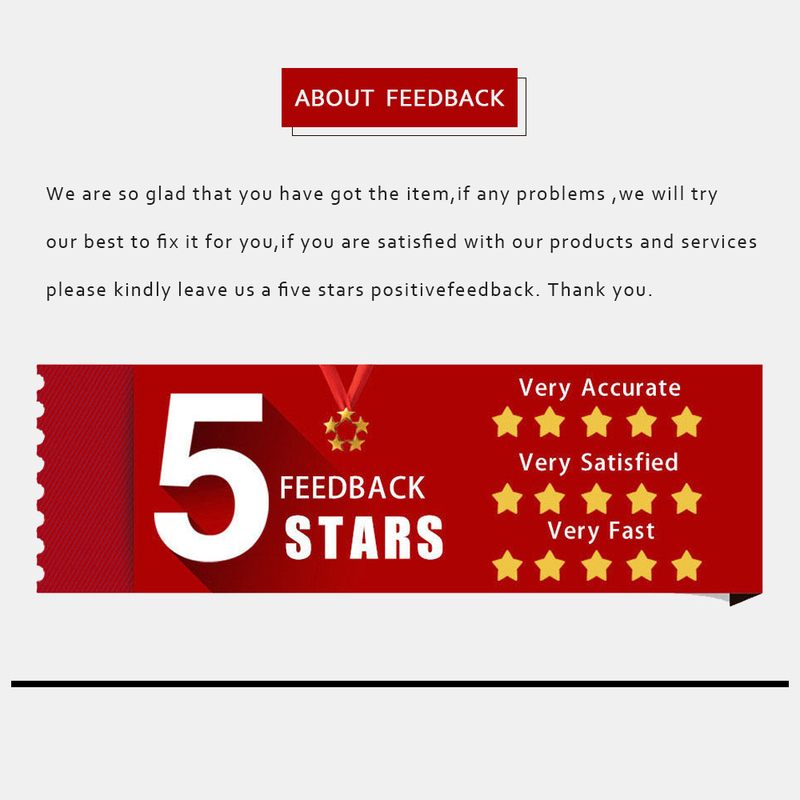 There might be a slight error due to different hand measureme. 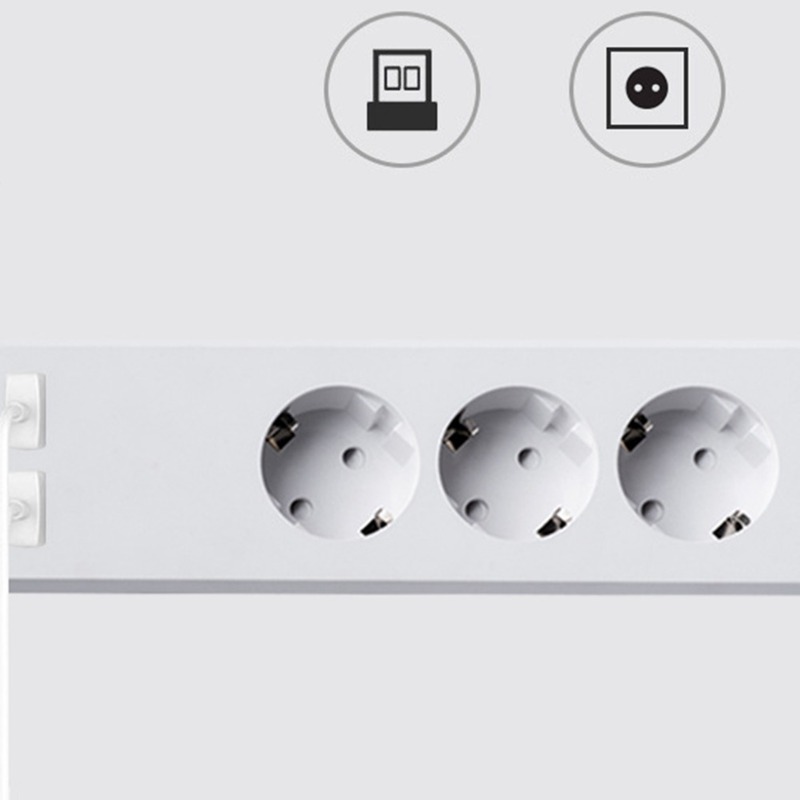 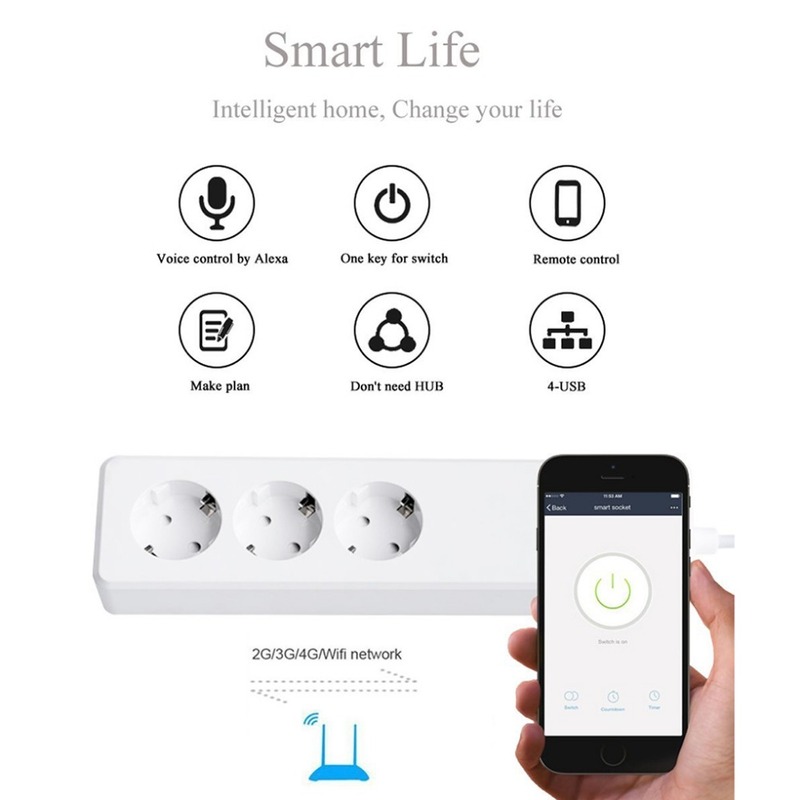 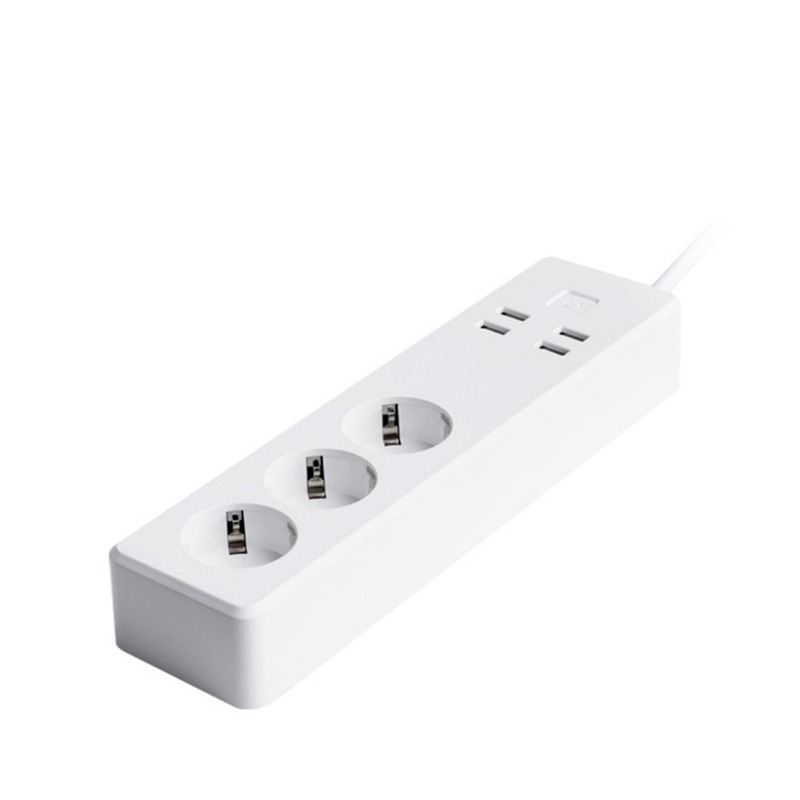 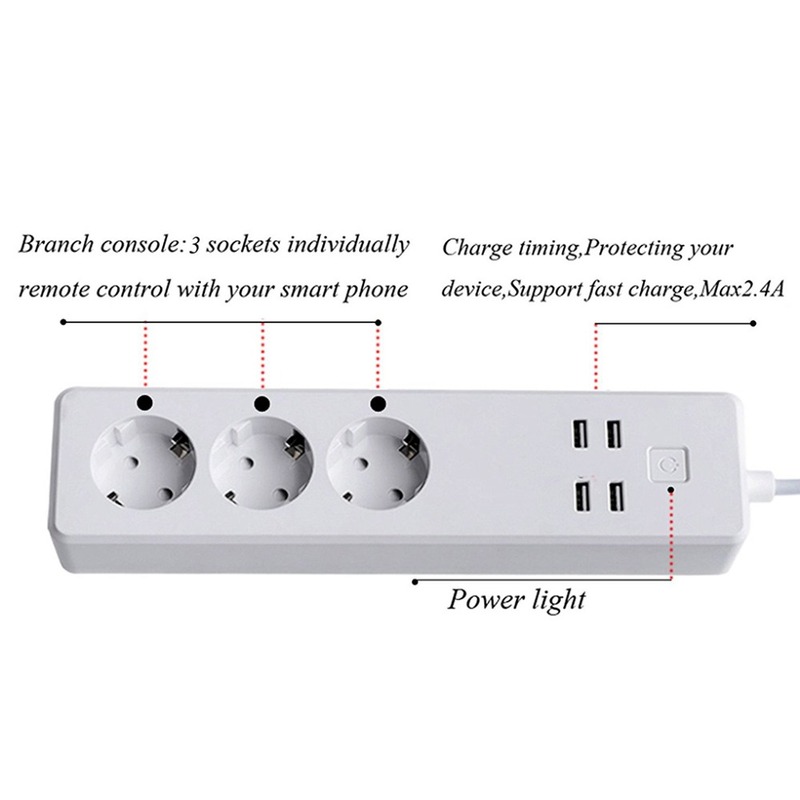 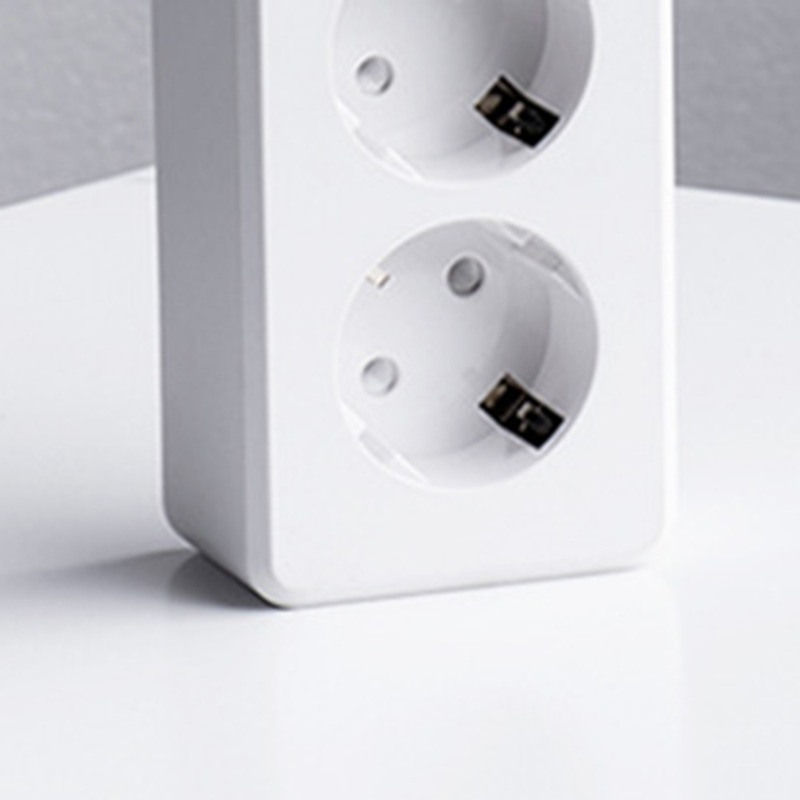 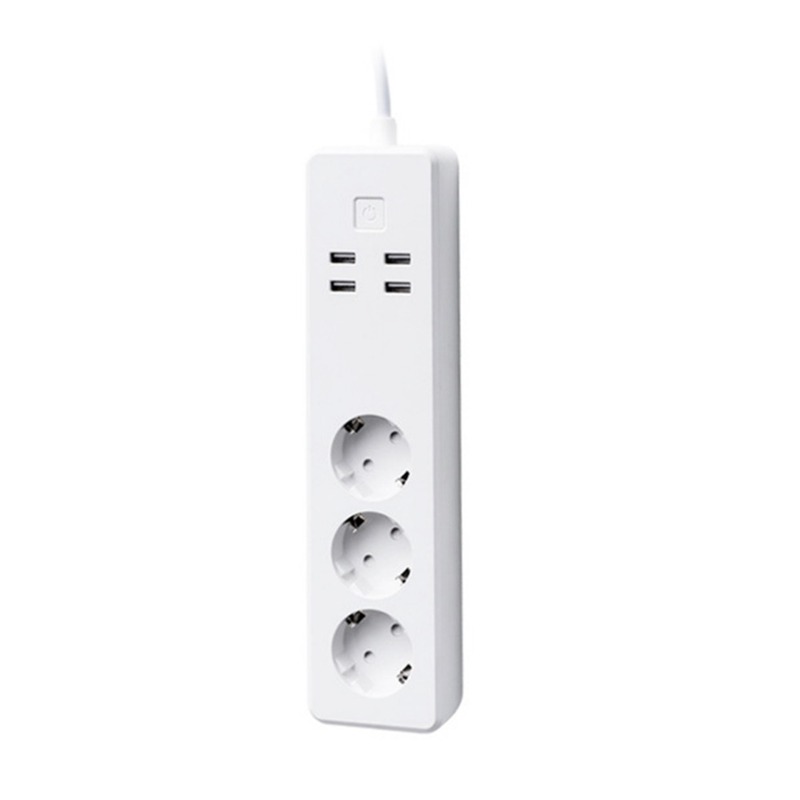 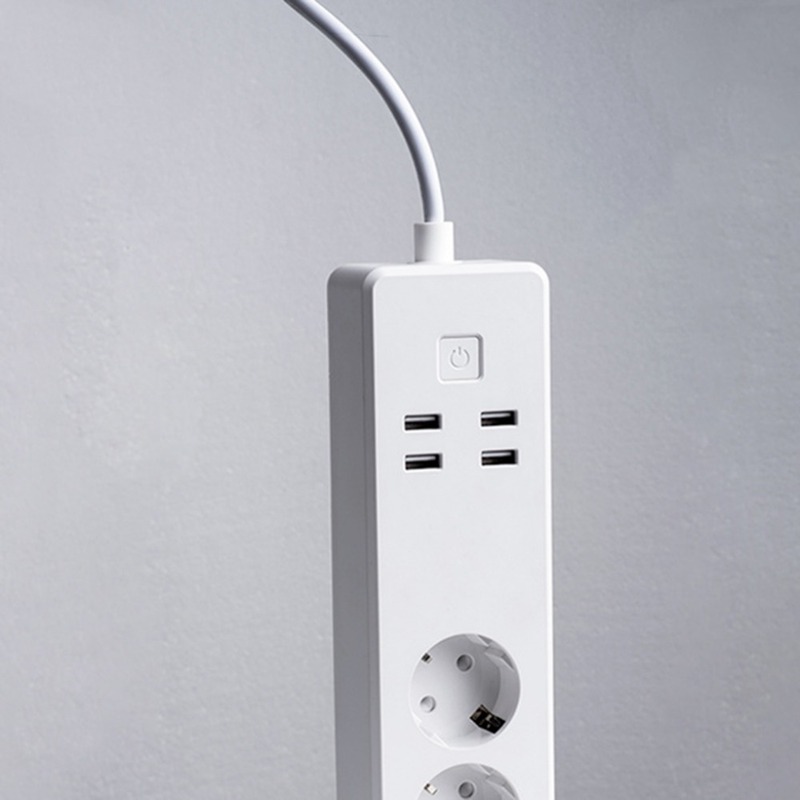 1 * Smart Plug Power Socket 4USB.